IT World Canada is celebrating 25 years of CanadianCIO. Join us as we revisit some of the heroes that have been featured over the years and the editors that wrote the stories. Join us as we revisit some of the heroes that have been featured over the years and the editors that wrote the stories. 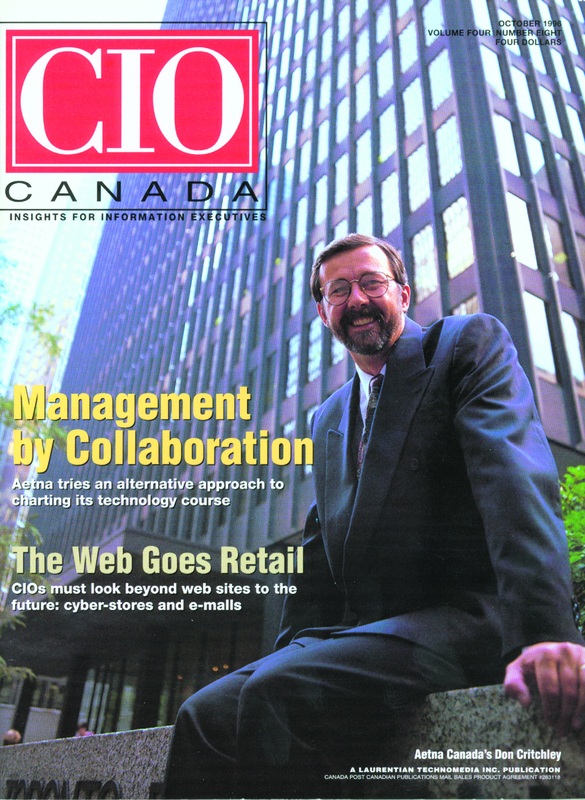 To mark the 25th anniversary of Canadian CIO, we’re doing a walk down memory lane. Here, we interview the three editors that shaped the publication over its history. Right from the beginning, founding editor of Canadian CIO John Pickett saw the chief information officer as a role rather than a title – and it was a role that he wanted to raise up to take its rightfully-deserved place in the corporate spotlight. 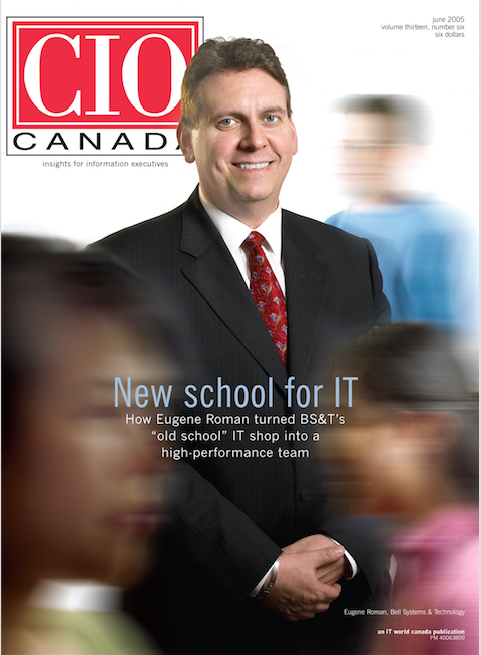 When Pickett and his partners started publishing the title in Canada, then called CIO Canada, the concept of the CIO was still relatively new. A few organizations were using it. But even at those that were, the role languished in the doldrums of the technical minutiae of a company’s operations. It just wasn’t as well regarded as other business leadership roles. So when Pickett started noticing his interview subjects putting the magazine in prominent positions on their office desk, he felt encouraged. And when a CIO featured on the cover told him that his career had progressed as a result, Pickett felt like a rockstar. Since its magazine first rolled off the presses in 1993, Canadian CIO’s core mission has been to elevate the role of the CIO. Over its 25 years of pursuing that mandate, the publication has gone through many changes, as has the nature of the work being done by its target audience. Both have the digital era to thank for that, but while the scenery out the windows has changed, the foundation remains the same. CIOs are still striving to serve as the interlocutor that bridges the technical side of a company with its business goals. And Canadian CIO is still guided by journalistic principles as it tells the stories of those efforts. 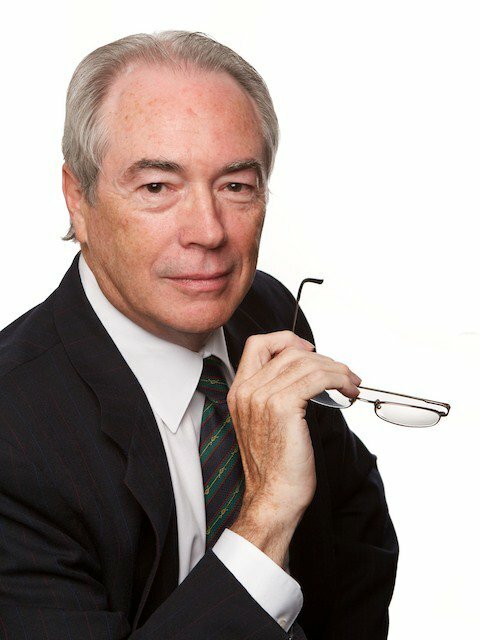 Former Canadian CIO editor John Pickett circa 2006. Canadian CIO wasn’t Pickett’s first publication. Long before its ink ever rolled off a press, he partnered with the late Andy White on Direct Access in 1985. Aimed at the hands-on workers in the IT field, the strategy was to chase career advertising dollars targeted at the in-demand systems analysts and programmes. Eventually, they crossed paths with current IT World Canada chairman Michael Atkins, at the Laurentian Media Group. Atkins acquired the magazine in 1989, and its brains along with it – White became the president, Pickett the editor-in-chief of the IT publishing arm. Atkins was publishing Computer Data magazine before then, but at around the same time he acquired Direct Access, he struck a deal with Boston-based IDG to licence its IT brands for the Canadian market. The deal was unusual for IDG, which normally operated wholly-owned subsidiaries in foreign markets, but agreed to take only a minority stake in IT World Canada, which continued to run independently under Atkins. From that, the new flagship magazine ComputerWorld Canada was launched. It was again targeted at practitioners of IT, workers in mid-management and below. Soon to follow was CanadianCIO, using the same model that was established in the U.S. to serve the leaders of the IT department. Rather than fire a shotgun blast of content at all IT practitioners, Canadian CIO would put a sniper rifle’s crosshairs squarely on stories for and about CIOs. “The mandate was to support the efforts of those executives charged with bridging the information needs of business executives and corporate executives and the computer department,” Pickett recalls. Even the term “IT department” was fairly new, succeeding monikers such as “data processing department” or “information systems department.” It operated in a silo from the rest of the business, passing on recommendations at opportune times. But with the creation of the CIO role, and its boosting by IDG’s CIO publications, the need to bring it closer to the rest of the business grew more apparent. 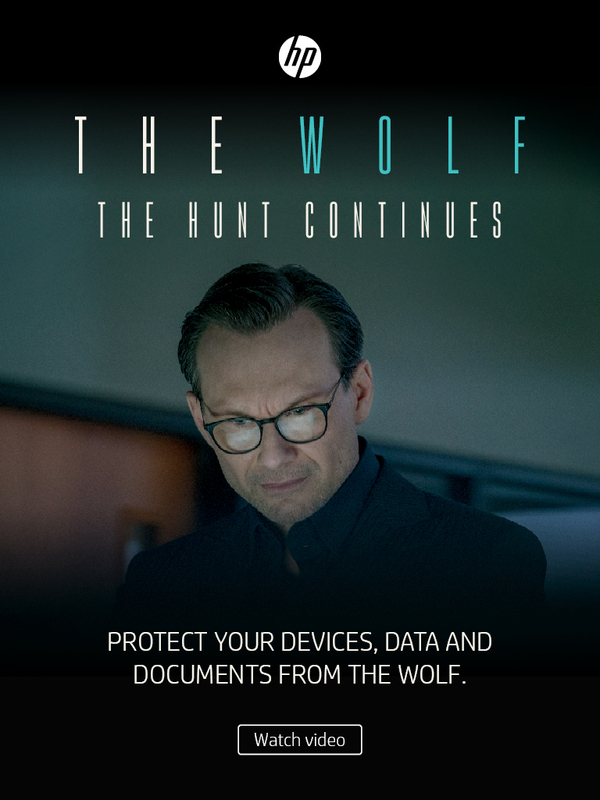 It was the CIO’s mission to accomplish that as an executive sponsor of the IT department. In the early ‘90s that looked like an uphill battle. The challenge of bridging that gap between business strategy and the technical operations of a firm has remained at the core of the CIO role over the past 25 years. David Carey, the longest-serving editor of CanadianCIO (from 1995 to 2008), describes it as the defining major issue faced by those in the role. “Always top of mind for CIOs was how did they plug into the business and drive value out of technology?” he says. David Carey was the longest-serving editor of Canadian CIO. It’s also recalled as the core mandate of the publication by Shane Schick, editor of Canadian CIO from 2008 until 2015. It was especially important to tell stories of CIOs setting the example in Canada, where IT departments didn’t number in the thousands of employees as they typically do in the U.S. By communicating how sophisticated Canadian CIOs were at developing solutions, the publication set out to make heroes of them and demonstrate they could play in the big leagues. It also demonstrated the importance of the role to companies that had yet to hire one. “IT has got to be seen as a real strategic asset and you need someone in a role to give it that trajectory,” he says. While the core challenge of the CIO role remains to be earning a seat at the CEO’s side, that has taken different forms over the years. Perhaps the role’s critical nature received its biggest boost from what was at least a perceived crisis in Y2K. In what was a favourite media story that continued to increase in volume leading up to the year 2000, many worried that certain computer systems would be incompatible with years after 1999. When many businesses realized that without working closely with the CIO, they’d face potentially catastrophic downtime, the CIO’s stock went up. At the same time, it was the height of the dot-com bubble, when e-commerce looked like a golden path to the future. While we now know how that turned out, David Carey will tell you that 1999 was indeed a golden age for Canadian CIO. 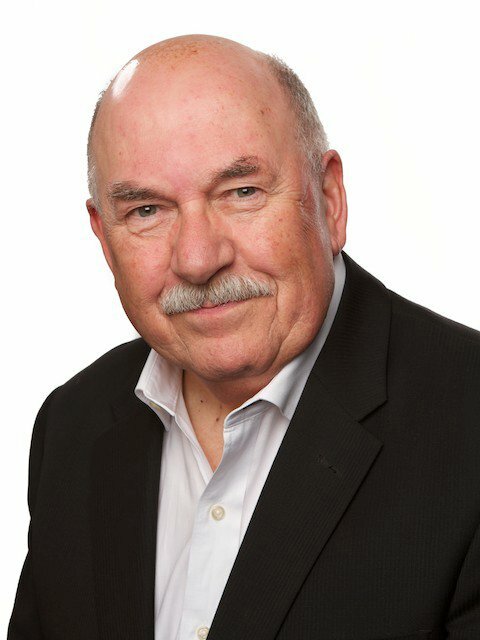 By that time he’d been covering Canada’s tech industry for more than two decades, having got his start in the mid-’70s at Electronics and Communications Magazine. In the ‘80s he joined Maclean-Hunter and Canadian Data Systems. “It was the granddaddy IT publication in Canada,” he says. Carey was promoted to editor after its previous editor retired in 1989 and stayed with it until 1992, when the magazine was shut down and he got a call from Pickett. By the time Y2K fears rolled around, he’d been in the editor’s seat at Canadian CIO for four years. Perhaps some businesses were in over their heads, as the number of vendor contracts added up, some CIOs found technology integration was a new challenge. Just trying to fit all of the pieces together and coordinate relationships with tech vendors was a full-time job in itself, Carey says. Integrating IT can bog down a department and as a result, the IT team can often look like laggards to the rest of the business. This is a conundrum that Pickett recalls from his time as editor. It was in the era when desktop computers were first being acquired as fixtures on the desks of knowledge workers, and when those workers found that they were waiting too long for the IT department to develop business applications, they would sometimes take matters into their own hands. So the phenomenon now known as ‘shadow IT’ was born. As applications were made exclusively for departmental needs, CIOs were challenged by discrepancies in the data. Each department had its own version of the truth separate from the rest of the company, Carey says. 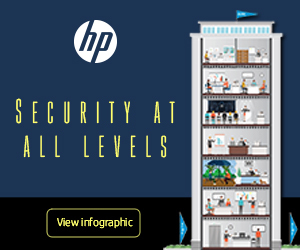 Along with providing access to corporate information, CIOs also had to devise a system that would provide the right information to the right person, with the correct permissions to access it. This fuelled the early days of identity access management solutions, with vendors like Novell and IBM providing answers. During Schick’s era as editor, identity would become even more important to IT operations as it also determined what cloud applications that workers could access, and the provisioning of mobile devices to workers with corporate clearances meant that end-points would be carried out beyond the reaches of the firewall more often than ever. Schick reflects that even as CIOs became more articulate in explaining their value to the business and responsive to its needs, executives would still frame their responsibilities in terms of new technologies emerging to the market. 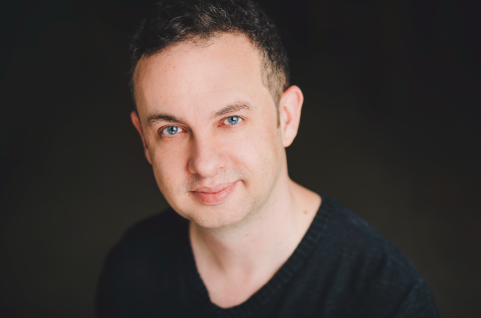 Shane Schick took on the role as Canadian CIO editor during the digital era. As the technology market expanded, more startups brought innovative new solutions to market and businesses found they had more options than ever to turn to. But many CIOs struggled with the concept of placing a bet on a smaller company that was not well-established, risking that a product would stop receiving support when the startup was acquired or went bankrupt. Even if many startups had compelling technology, they just didn’t offer the same track record as a legacy vendor like IBM or HP. 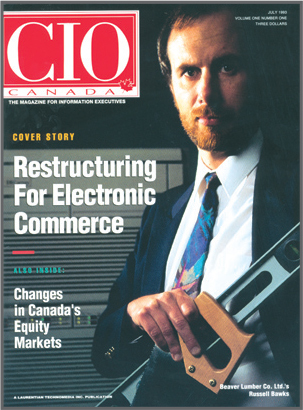 Schick’s stint as editor of Canadian CIO began shortly after taking on the Editor-in-Chief role at IT World Canada, rising up through the newsroom first as the editor of Computing Canada and then as senior online editor. It was a time when newsrooms around the world were feeling the pinch (or in some cases, vice grip) of a recession. Rather than continue outsourcing the editor duties to Carey, the decision was made to bring it back in-house and make it Schick’s main focus for his journalism work, which he’d attend to in addition to his managing duties. It made sense for him to be directly serving IT World Canada’s most senior audience, “and in some cases the most critical,” he says. Schick felt that continuing to write stories gave him more credibility as he led the newsroom, composed of other print publications and websites aimed at different segments of the IT industry. So he continued upholding the journalistic principles that Pickett also held dear when he founded Canadian CIO in 1993. Schick recalls that one of the first things he reviewed after taking on the publication was Pickett’s editorial guidebook. He decided to build upon that foundation, updating it for the digital era. Schick felt the ideals of journalistic independence hadn’t changed. But it was being challenged more so by vendors that were beginning their own publishing operations. Dubbed “owned media,” vendors started to create content marketing materials that were very similar to what might be found in the pages of Canadian CIO. But there’s still an important fundamental difference between the content a vendor can produce and what an independent editorial team can produce. While Schick describes the tension of facing down competition from the vendor community, Carey recalls the challenges of building a trusted brand held in regard in corner suites across the country. Carey also points to Pickett as a defender of journalistic principles for the publication. Pickett always sought out the best journalistic talent in building his editorial team, hiring graduates from journalism programs. He felt that not only was it in the readers’ best interests, but the advertisers. John Pickett as seen in more recent times. “If you have a publication that is trusted among readers, then isn’t that a great place to put your adverts,” Pickett says. So when I, the current editor of Canadian CIO was interviewing Pickett, I made sure to ask him for advice. It’s not an easy job, he told me. And it’s a a more difficult time for journalists now. The right way to approach that time? Which explains why, when we publish new content every month that I feel reflects that original mission of the magazine launched 25 years ago, I feel just a little bit like a rock star too. 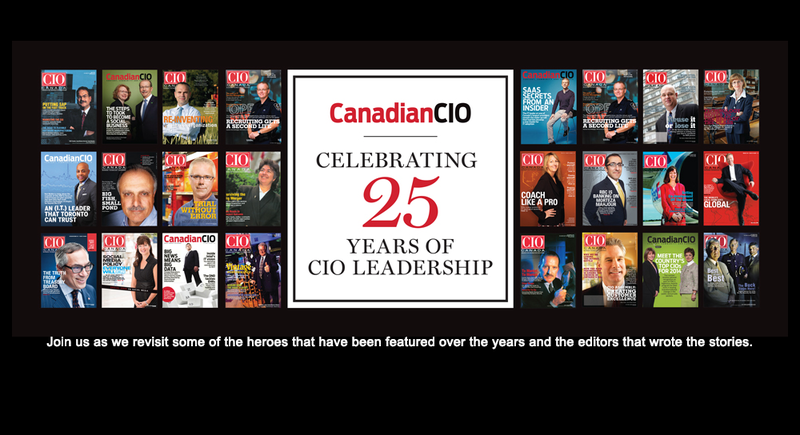 To mark the 25th anniversary of Canadian CIO, we’re doing a walk down memory lane by profiling some of the CIOs featured on our covers over the past quarter-century, reflecting on their cover moment and catching up on where their leadership career has taken them. 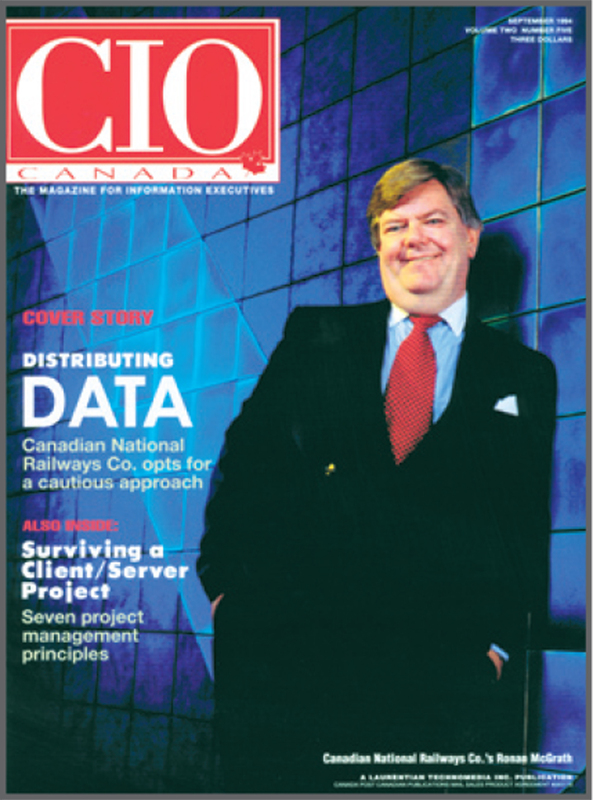 If the point of the first cover of CIO Canada was to distinguish itself from its much larger namesake publication south of the border, held by its founder and licence-provider IDG, then it did so with a style of earnest nationalism. Russell Bawks, in the role of what we’d now think of as the CIO, but at the time holding the title of managing director of information systems at Beaver Lumber, posed on the cover holding an array of power tools. Beaver Lumber was an iconic Canadian Brand at the time, its friendly, jean coveralls-wearing beaver mascot beckoning Canadians into its chain of 270 stores in urban centres and outer rural areas. At the time, Beaver was a subsidiary of Molson, a company that literally has the maple leaf featured in its logo. 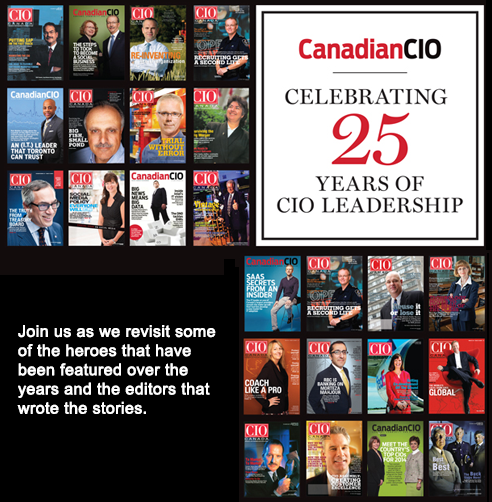 When the first issue of CIO Canada (now branded as Canadian CIO) rolled off the presses, it was at a time that the role was in its nascent days. IDG was working to popularize the role in the U.S. with its CIO publication, the namesake of CIO Canada, and IT World Canada picked up the torch for the Canadian market. The magazine intersected with the CIO at a time when personal computers were widely adopted by knowledge workers and the Internet was changing the world. Over the past 25 years, it has covered CIOs as they prepared for Y2K, rode high on the dot-com boom, and fell back to earth upon its bust. In more recent years the consumerization of IT has seen CIOs struggling to integrate more devices while also battling back against the rise of ‘shadow IT.’ Organizations became more comfortable with outsourcing IT functions, and then even started pushing infrastructure out to the cloud, calling on CIOs to redefine their value to the business. In many ways, 2018 could be looked at as the year the CIO has truly arrived. A March 13 headline in the Wall Street Journal reads “The Rise of the CIO in the C-suite,” the content of the story being Sun Microsystems co-founder Vinod Khosla endorsing the CIO as best-positioned to lead organizations into their AI-powered futures. For Bawks, the old adage “the more things change, the more they stay the same” holds true. In his role today at GT Nexus, a subsidiary of Infor, he’s still addressing the supply chain challenges that he was working to solve 25 years ago at Beaver Lumber. The 1993 cover story delves into Beaver’s new POS systems and how it was integrating those systems with its backend Electronic Data Interchange while also working to interface with 80 different partners in the system. While he may have been on the cover of CIO Canada, it wasn’t until the next year, when he started a new role with Consumer Packaging to helm a full upgrade project, that he thought of himself as a CIO. “It was a funny term because at the time the acronym tended to mean ‘Career Is Over,” Bawks recalls. But that acronym certainly wasn’t accurate for Bawks. In his consultant role, he works with different global organizations and helps them bridge the divide between retail operations and logistics, designing process flows, and building integrations that directly benefit the bottom line. The chasm that Bawks managed to cross, using his skills in deploying and integrating technology to help drive business strategy, is the same one that other successful career CIOs have managed to transverse. For Ronan McGrath, who was on the cover of CIO Canada in 1994 as the CIO of CN Rail, the role has evolved over the past 25 years. For Don Critchley, who now is the president of Haliburton, Ont.-based Cottage Care Rentals and was on the October 1996 cover, he saw his role as CIO to understand his team’s competencies and deploy them well. In Critchley’s early days, he recalls replacing desk typewriters with “green screen” terminals, so companies could begin communicating with email and use other applications to boost productivity. He had a knack for identifying the engineers that were passionate about assisting in those projects. As the ’90s rolled along, Critchley saw the adoption of more integrated techincal teams that were distributed across the business rather than being siloed away. With the web beckoning with opportunity, rigid approaches to management weren’t working anymore and CIOs were called upon to help align technical teams with business units. As companies integrated technology and became more competitive based on that differentiating factor, CIOs became a critical role in business. CEOs called on them to reduce costs and scale up operations, so the pressures were high, but viewed as crucial to an organization’s well-being. The role only became more revered as the perceived threat of Y2K loomed and the dot-com boom had every company chasing an ecommerce future. Helen Polatajko, on the CIO Canada cover in May 2003, remembers it as both an era of opportunity and challenge. In 1998 she was asked by her employer to take on a new role. The Bank of New York Mellon, had formed a joint-venture with Toronto-based CIBC, and as a CIO that had mastered Mellon’s technology stack, she was tapped to lead the greenfield opportunity for the startup in Toronto. Poltajko, like many of her peers, was about to face a markedly different era. Where CIOs had been heroes that averted a disaster as the clocks rolled over to the year 2000, then helped businesses chase the gold rush of the online space that followed, they were now relegated to a dotted-line to the chief financial officer. Many organizations changed their attitudes towards technology, seeing it merely as a utility and the CIO’s role to keep the lights on. If the CIO got bigger aspirations, well “the CIO proposes, the CFO opposes,” Love recalls. As a result, CIOs were faced with a new culture shock. Instead of just focusing on delivering new capabilities, they had to toe the line on ROI measurements. Many found the time they had to prove their worth in their organizations was less than a year and many were shown the door. Polatajko remembers the struggle well. One that she experienced as a newcomer to Canada. On top of organizational politics, CIOs were also starting to face a new challenge in dealing with data. When business department leads got impatient waiting for IT teams to extract the data they needed to make decisions, they found ways to do it themselves, often even building their own applications or carving out budget to outsource an application’s build without bothering to inform the CIO. So-called “shadow IT” was on the rise and as a result, organizations faced a lot of redundant systems and multiple places where data was held, often portraying different versions of the truth. With no strong executive role setting directions for systems or data, organizational silos formed between departments. A phenomenon that also affected the new joint-venture of CIBC Mellon. Starting in 2003, Polatajko noticed a shift. With the individual organizations at CIBC Mellon in place, the executives began collaborating more with each other. As she gained the ear of the rest of the leadership team, she won approval for more projects and saw them integrated into the business. By the time her CEO pulled out her cover issue of CIO Canada and put it on the boardroom table to show other executives as a point of pride in May 2003, the CIO role was beginning another era. One that was rather Dickensian. At the same time, the pace of change brought by technology meant that organizations themselves were changing rapidly. Some collapsed entirely, proving not nimble enough to respond to a wave of disruptive competition from startups that were born out of the Internet. CIOs faced increasing complexity and more demands than ever on delivering results. As a result, new “lean” methodologies and agile approaches became adopted and the role of the CIO was abstracted beyond the bits and bytes of an organization. 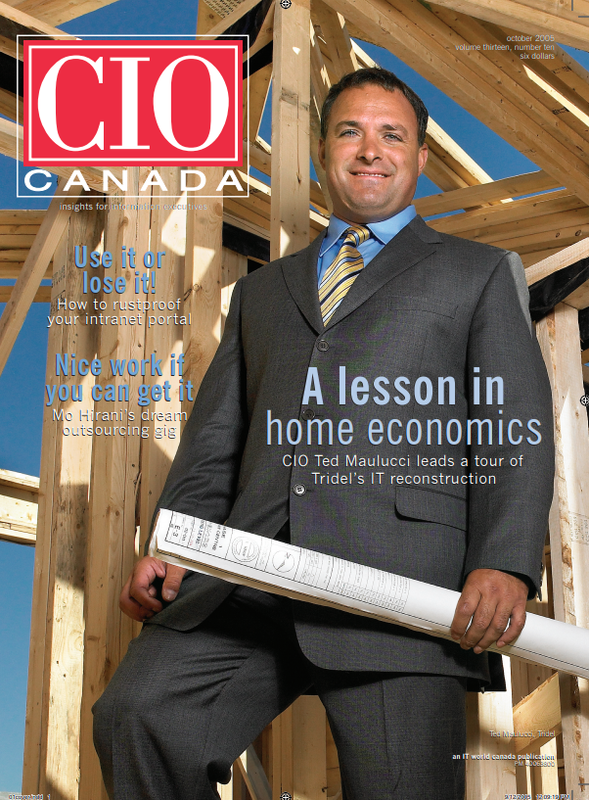 Maulucci was on the cover of Canadian CIO three times, with the first being in October 2005. Instead, CIOs call on partner networks to succeed, juggling vendor contracts, and outsourcing teams alike. Globally, firms that understood technology realized that it was no longer something that was nice to have, but something that was necessary to survive. In an interview at the Canadian Tire headquarters in Toronto, Chief Technology Officer Eugene Roman reflects on some of the hits and misses in the Canadian technology scene during the 2000s. He points to Sybase, an enterprise software firm that analyzed relational databases. Its SMS and MMS protocols are still widely used by telecom carriers around the world. (Sybase was acquired by SAP in 2010.) He also points to the heyday of BlackBerry and the end of Nortel as pinnacle moments. If that’s indeed the case, then perhaps Khosla is right about the CIO being perfectly positioned for even loftier leadership positions. Certainly the CIOs interviewed for this piece have all seen their careers continue to climb over the years. Maulucci has started his own business to bring digital “smart community” technology to Canada. Polatajko and McGrath are now active board members. Critchley is the President of Cottage Care Rentals. Roman continues to lead Canadian Tire’s technology vision – winning the Canadian CIO of the Year award in 2015. As for Bawks, who is now in his early 60s and still happily working, 25 years after being featured on the first cover. With his two daughters grown and embarked on their own professional careers (one became a lawyer, the other an athletic therapist) and his wife still working a demanding job in the public sector, he continues to find satisfaction in solving business problems. We like to picture him tinkering away with a saw in one hand, and a level in the other. Helen Polatajko’s Canadian stint as a CIO began at a startup, giving her a rare opportunity to start from scratch. It also transformed into a collaborative role that has led her to help corporate boards better understand technology. Having begun her CIO career in Texas in 1993 for Mellon Financial Corp.’s mortgage subsidiary, four years later Polatajko was asked to come to Canada to be the CIO for its joint venture with CIBC in Toronto because she already knew the Mellon technology. 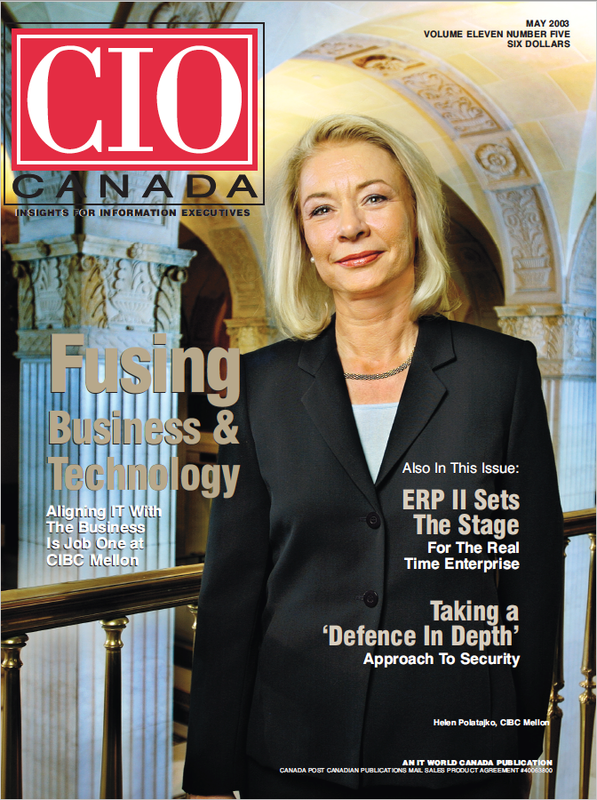 Helen Polatajko was featured on the cover of CIO Canada in May 2003. Now she’s an active board member. In 2014 she joined the Canada Mortgage and Housing Corp. as a member of the executive and management committees, with the title of vice-president of IT. Since November 2016, her focus has been as a member of the board and risk committee at CDSPI, a non-profit that provides financial services to dentists. To mark 25 years of publishing for the most senior leaders in Canadian IT organizations, IT World Canada reconnects with faces from past covers and asks them to reflect on how the role of CIO has evolved in the past quarter-century.